Never let your child skip a meal, especially breakfast! Throw some of this delicious muesli into a container with fruit and milk, and your child can eat it in the car on the way to school. This recipe is compliments of Lynda Bryant-Mutsaerts, owner of National Road Pharmacy. Crush the nuts into various sizes with a rolling pin. 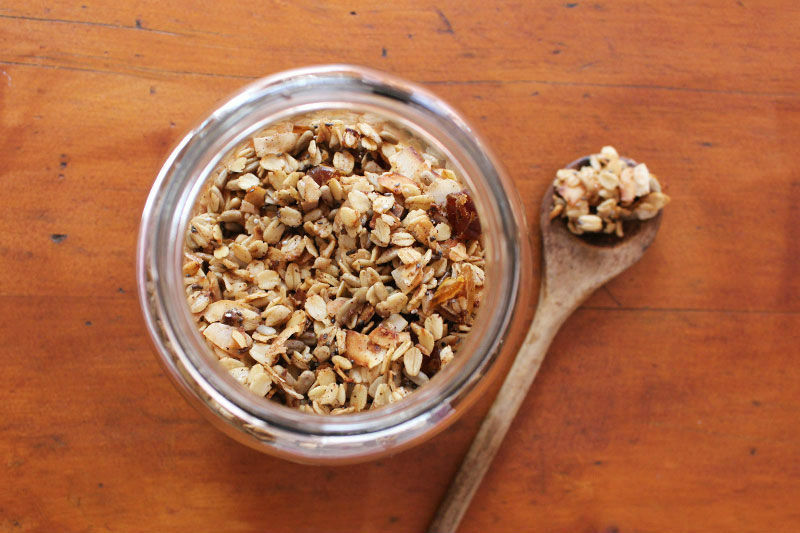 Combine all the ingredients, except the handful of raisins, making sure the oats are well coated with the oil. Spread out evenly on a baking tray and bake at 180°C for 15 to 20 minutes, watching it carefully. Remove from the oven and stir through the raisins. Leave on the baking tray to cool. Store in an airtight jar.